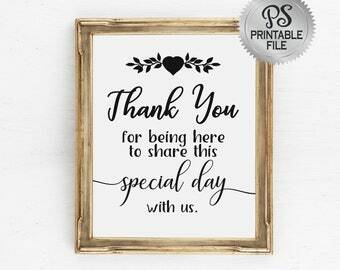 Announcement Our DIY ready made printable designs are instantly available, easy to use and perfect for all occasions! From wedding decorations to a banner welcoming that new baby or helping grandma celebrate 100 years, our designs are made to add that handmade charm to any occasion. Perfect for those who want to add that personal touch, but don't have the time to "completely" make it themselves. Let us help you make it YOURS! Just order, download, print and trim and your ready to celebrate! ** Amazing designs that are easy to download and print. ** Great customer service that is available ALMOST 24/7. There are TWO of us who run this site together, so you are assured to get a response very quickly! ** Multiple sizes! We don't make you choose a size and then buy. When you order any of our Ready Made Signs, you get ALL the sizes listed. Print one or print them all. With lots of choices out there, we know we need to EARN your trust and your business. As a "Bride to Be" you have enough to worry about. If we promise to get your order done by a specific date, DON'T WORRY! It will be......guaranteed! For those of you who love these designs, but don't have the time to make it yourself, please check out our other etsy sites for these designs PRINTED FOR YOU and more! Our DIY ready made printable designs are instantly available, easy to use and perfect for all occasions! From wedding decorations to a banner welcoming that new baby or helping grandma celebrate 100 years, our designs are made to add that handmade charm to any occasion. Perfect for those who want to add that personal touch, but don't have the time to "completely" make it themselves. Let us help you make it YOURS! Just order, download, print and trim and your ready to celebrate! Can't wait for the candy bar to be setup with the sweet sign. Great service and products, I can't wait for my son's Graduation party with all the coordinating signs. Lisa has been busy working on a new Mardi Gras line just in time for Fat Tuesday. Come check it out! Just working on signs for a new collection we are now offering called 14K Gold! Come check it out! This is literally a photo of our "workshop"! Yep...that's it....a computer and a lap to put it on. In 2013, we opened our shop with a desire to provide downloadable digital files for brides wanting that charming homemade DIY look, but who didn't have the time to do it. Think of our designs as DIY done for you. We each provide our own unique style to the mix. Laura has a very rustic, country, vintage style, while Lisa brings the Art Deco and Halloween lines to life. Together, we make up the perfect team, so no matter what you are looking for we have the skills and talent to design it! We work seamlessly together and sometimes can't even tell who made what sign. Laura started her original Etsy shop in 2011 and just two years later got together with a long time friend to start this shop where only downloadable files are sold. She has a rustic, country, victorian style that screams vintage wedding! Lisa is a graphic artist and brings a totally different style to PSPrintables. She loves Art Deco and is by far our Art Deco artist but also does an amazing job with everything else! She is #1 in customer service. Welcome to PSPrintables, a division of Pineapple Soup designs. Here you will find NO shipping charges, NO waiting for snail mail to arrive.....just downloadable files you are going to love! Please remember that digitial files are now "taxable" in certain countries and the buyer is responsible to inform/pay these taxes to their respective country/state. Because of the nature of downloadable files, we do not offer refunds or cancellations of any kind. However, if you have problems with your file, we will work with you to try to resolve any issue you are having. We accept All forms of Etsy payments and paypal. KY residents are required to pay sales tax of 6%. No shipping needed......all downloadable files. If you purchase a file that we have to make, we will still email you the final product. As of January 1st, 2015, the EU has instituted VAT on all digital items being sold to to buyers there. Please be aware that if you live in a EU, you will be responsible for informing and paying all VAT fees. 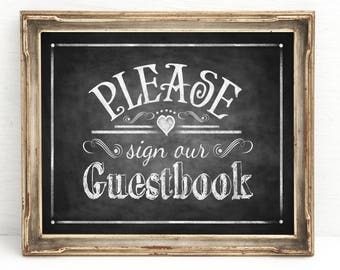 Custom orders: If you purchased a custom order and we have not already started on it, we will gladly cancel the order and refund upon request. However, if we have started your design(s), your refund will be prorated depending on how much we have completed/spent on your order. To fulfil your order, you must provide me with certain information (which you authorized Etsy to provide to me), such as your name, email address, postal address, payment information, and the details of the product that you’re ordering. For custom orders, you may also choose to provide me with additional personal information that is required to complete your order. For purposes of EU data protection law, I, Laura Starr, am the data controller of your personal information. If you have any questions or concerns, you may contact me at laura [!at] pineapplesoup.com. What size are your signs? Each sign is offered in several sizes, but don't worry about choosing the "right" size. When you order from us, all of our ready made files are downloadable in ALL sizes shown in the listing. You can download one size or all of them, and print them as many times as you need.....as long as it is for personal use only. We do not allow any resale use of our designs....either in their original form or edited. Can you personalize my sign? We offer several different personalized signs. For the ready made files we have available that are not already personalized, we are happy to make any changes on those signs that you need, however there is an additional custom fee because of the additional time it takes to prepare your order. Please contact us with the details and we will give you a quote. Generally speaking, no. We do offer a few editable placecard and topper listings, but generally speaking, if you want something changed or personalized, please contact us for a quote.